So fancy about some videos on YouTube website and wanna to watch it on your iPad over and over again? 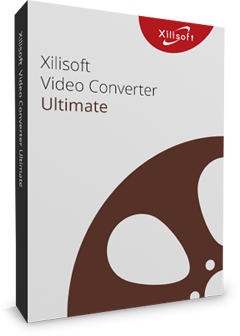 Now, Xilisoft YouTube to iPad Converter provides you a great solution to download your favorite videos from YouTube website and convert them to iPad with super quick speed. It is a power tool combined with downloading and converting functions: download FLV format videos from YouTube website and then convert them to iPad formats 720p H.264 HD video, H.264 video and MPEG4. It can also extract audios from the downloaded video to iPad music formats of MP3 and WAV. Download all YouTube videos and convert to MP3, AVI, MP4, MKV, WMV, etc. Convert local videos in different formats. Download and convert FLV videos from YouTube to iPad video formats of 720p H.264 HD video, H.264 video and MPEG4 with fast speed without another downloader. Extract audios from downloaded YouTube FLV videos to iPad music format MP3 or WAV. Convert FLV files from your local computer to iPad videos and move them into iPad. On the website browser, right click on the source video you intend to download and choose to download it with Xilisoft YouTube to iPad Converter. 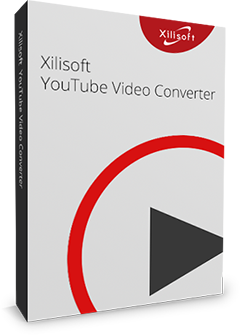 Xilisoft YouTube to iPad Converter embeds with a built-in YouTube video browser which enables you to search videos divided by different categories such as most viewed, top rated, rising videos and so on through the Internet and download them freely. Simply drag and drop the YouTube videos and then Xilisoft YouTube to iPad Converter will start downloading the videos immediately. Multi-threading processing brings a fast downloading/converting speed. You can also set the global max downloading speed according to the actual state of your network. Proxy server configuration is available to promote the website visiting speed from built-in YouTube video browser as well as satisfy some special needs on network safety. English, German, Spanish, French, Japanese, Simplified and Traditional Chinese interface languages are optional.